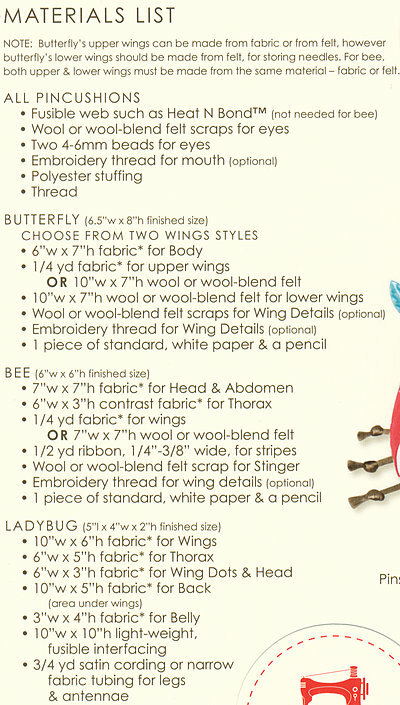 Fly away home to sew, sew, sew. With adorable Flutterby pincushions to keep you company, you’ll stitch up a swarm of beautiful things – four designs included. 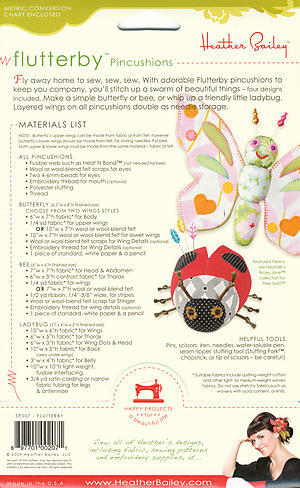 Make a simple butterfly or bee, or whip up a friendly little ladybug. Layered wings on all pincushions double as needle storage.